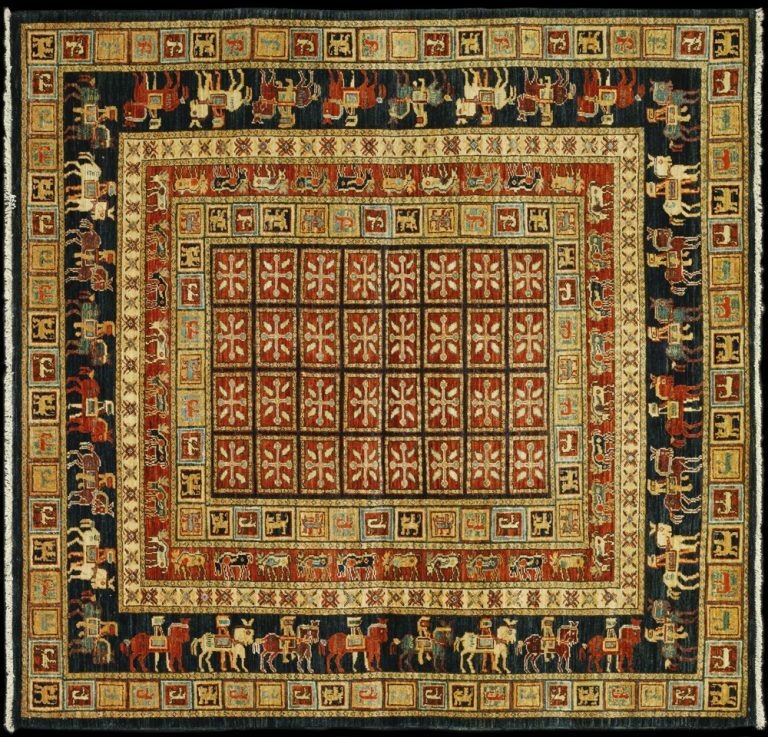 This is the oldest rug design ever discovered. The original Pazyryk rug is in The Hermitage museum in St. Petersburg and is from the 5th century BC. This reproduction is made the way the original was, with hand spun wool and vegetal dyes. SKU: 25137. Category: Tribal Geometric. Tag: 5' Square.